The study found 83 percent of recreational boaters would use ethanol-free gasoline. Editor’s Note: This story was published in our Oct. 5-18 issue, a few days before Pres. Donald J. Trump issued a memo to the EPA calling for year-round sales of E15. Full coverage of the White House’s directive will be featured in our Oct. 19-Nov.1 issue. ALEXANDRIA, Virginia — Boaters don’t want ethanol fuel in their marine engines, according to the results of a BoatUS survey released on Sept. 19. The report specifically found 83 percent of recreational boaters would fill up with E0 – or ethanol-free – fuel if it was available at the pump. The survey was conducted during this year’s peak boating season and asked recreational boaters about their interests in fueling up with ethanol blends. Misfueling and the Renewable Fuel Standard (RFS) were the two issues identified as chief concerns among boaters. “The results identify potential misfueling issues and allow recreational boaters to be heard as RFS policy is being debated on Capitol Hill,” Scott Croft, BoatUS’ spokesperson, said in a released statement. Croft echoed the recurring message of fuel blends with more than 10 percent ethanol being incompatible with marine engines. “Only fuels containing up to 10 percent ethanol (E10) are permitted for use in recreational boats, and anything greater has been shown to damage marine engines and will void warranties,” Croft said. BoatUS said 49 percent of survey respondents filled with ethanol-free fuel this past summer. 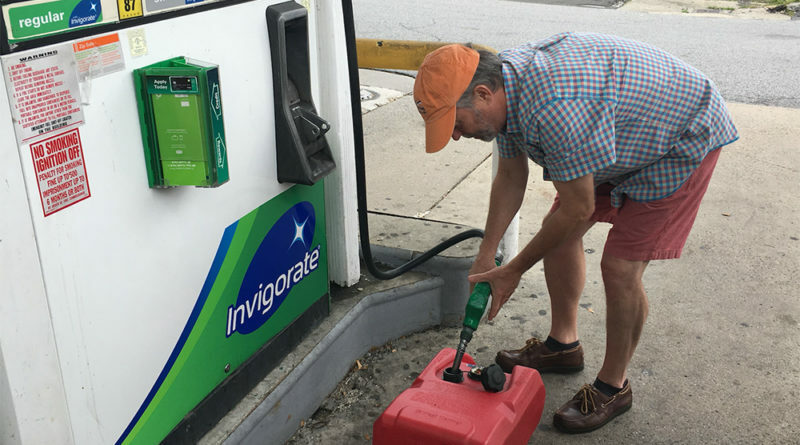 Boaters prefer to use ethanol-free gasoline but the fuel isn’t always readily available – and sometimes it’s just difficult to find stations or fuel docks offering E0. 36 percent were advised to undergo marine engine repairs due to ethanol. Congress began mandating ethanol-blended fuels in the nation’s gasoline supply since 2005, when federal legislators passed the RFS. BoatUS said the RFS was enacted under the assumption of our use of gasoline would grow. The growth of gasoline, however, did not match the forecast, ultimately resulting in a higher portion of ethanol found in each gallon of fuel, according to BoatUS.